Calm and Bright: 200 Years of Silent Night = Advent is Coming! 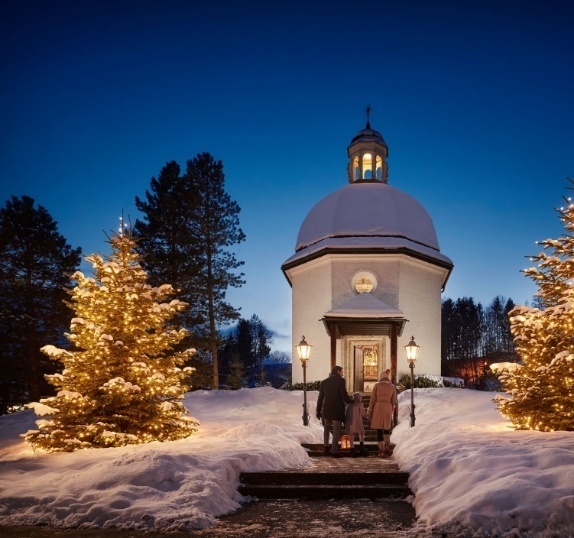 The classic hymn, “Silent Night,” made its debut 200 years ago on Christmas Eve, 1818 at the St. Nicholas chapel in Oberndorf bei Salzburg, Austria. The melody by composer Franz Gruber is instantly recognizable from the first few notes. The original text by Joseph Mohr has been translated from the original German into over 140 languages. In 1914, just four years shy of the 100th anniversary of “Silent Night,” soldiers fighting World War I along the Western Front held a ceasefire out of mutual respect for the holiday. 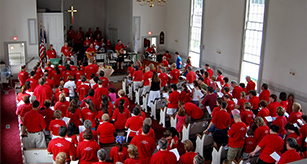 They exchanged gifts and stories with one another, played games, and sang carols together, including the beloved hymn “Silent Night.” Today, churches all over the world gather together on Christmas Eve to light candles, sing “Silent Night,” and participate in a timeless tradition of story and song. 4 pm Quiet Service, a contemplative, prayerful service. All are welcome to walk the labyrinth in Wilton Hall following the service.